A prominent YouTuber and his business partner have been fined a total of £265,000 ($331,220) for running an illegal gambling website linked to hit video game FIFA that was used by children. Craig Douglas, who goes by the name of NepentheZ on YouTube and has over 1.4 million subscribers on his channel, and his partner Dylan Rigby, ran a service to let users gamble with virtual currency that could be bought for real cash. Douglas was ordered to pay £91,000 ($114,000) while Rigby got a £174,000 fine. Both men are from the U.K. and admitted to being directors of Game Gold Tradings Limited, a company which operated and advertised FutGalaxy.com — an unlicensed gambling website. The prosecution was brought by the U.K. Gambling Commission with the case decided on Monday. The website allowed players to transfer virtual currency out of the FIFA 17 video game and use it to bet on real soccer matches and other games. Any winnings could then be transferred back into the game. In the FIFA games, which are made by EA Sports, there is no way to trade or sell coins that you buy. So black market sites have appeared online to facilitate this. There is no official link between FIFA or EA Sports and the illegal website run by Douglas and Rigby. 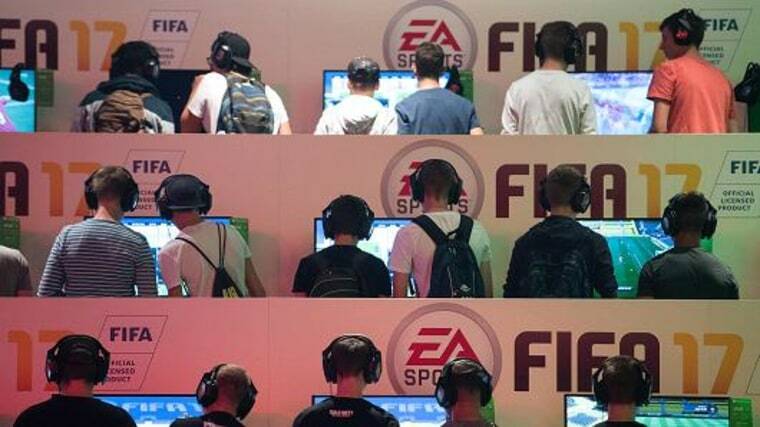 There are no accusations aimed at Electronic Arts or the makers of the video game. District Judge McGarva described the offense as "very grave", and concluded that children had been gambling on the website but said it was impossible to know how many. He had been shown footage of a 12-year old boy gambling on the website, describing this as "horrific". "This was one of the most serious cases that has been investigated and prosecuted by the Commission. Its gravity is reflected in the significant financial penalties imposed by the judge," Sarah Harrison, CEO of the Gambling Commission, said in a press release on Tuesday. "The defendants knew that the site was used by children and that their conduct was illegal but they turned a blind eye in order to achieve substantial profits." In a series of tweets following the court case, Douglas said he owed "a huge apology" to his family and supporters. Despite the case, Douglas continued to upload new videos to his YouTube page about FIFA, including one in which he issued an apology. Douglas said he pleaded guilty to two charges, but pleaded not guilty to others. "I (pleaded) not guilty to the remaining charges including the charge of inviting children to gamble and they were accepted by the prosecution and were accepted by the courts. Trust me when I tell you as a lesson has been learnt, a very valuable lesson," Douglas said. "I made a huge mistake. I did some things wrong. I was very naïve … And very arrogant." Arjun Kharpal is a News Assistant for CNBC in London. He took on the role after interning at the company for three months. Arjun has previously written for the Times, the Telegraph, the Guardian and the Mirror in London. He holds a BA in English Literature from the University of York and an MA in Newspaper Journalism from City University, London.